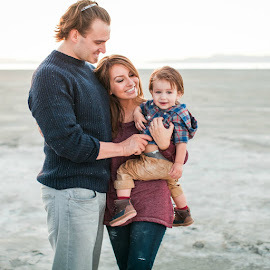 Lexi Michelle Blog: Pregnancy Countdown Chain FREE Printable! Pregnancy Countdown Chain FREE Printable! When I was pregnant with David, I didn't take chalkboard photos or celebrate pregnancy milestones in any cute way and that pregnancy really seemed to drag on forever!! This time around, I thought I'd do something fun. Since I'm not a skilled chalkboard writer, I flashed back to elementary school days and decided to make a Pregnancy Countdown Chain!! I also created my first ever FREE PRINTABLE for you to create your own! 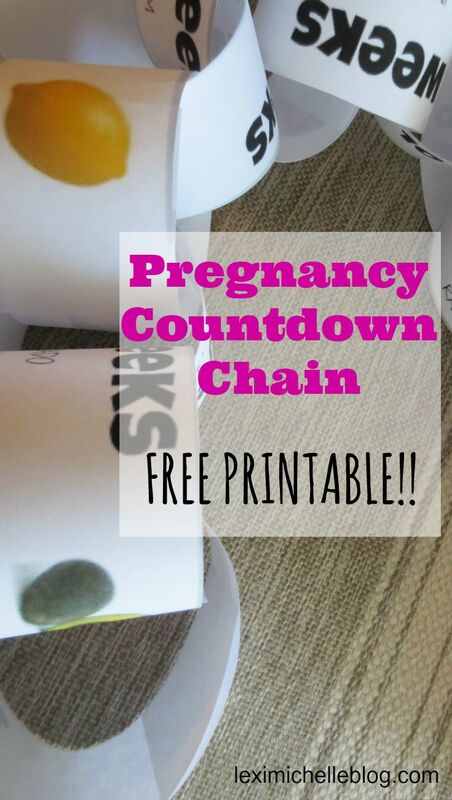 This pregnancy countdown chain measures the weeks and includes baby size compared to equivalent sized fruit. I personally, always try to visual how big my baby actually is and get excited the bigger baby gets! The instructions for this are very simple, especially if you've made these before. Just download the FREE printable and print it out. I printed mine out on regular computer paper, but you can always print it on card stock or something a little sturdier if you'd like. Once it's printed, just cut and tape/staple/glue together. Note: depending on your margin settings on your computer, you may be left with a little thicker of strips on top & bottom of each sheet. Just trim excess to make all strips the same width.